Payne's Dairies acquired the old WCF site at Roecliffe, just outside Boroughbridge, to develop into a processing and bottling plant. Following the purchase of this new site came the appointment of Kevin Leech as Sales Director. who, together with Charles, has enabled a steady increase of daily capacity from 90,000 litres per day to over340,000 litres per day. The forecasted growth of the plant is on target and looks likely to suceed expectations and beyond with 2009 predicted to be a tough but exciting year. 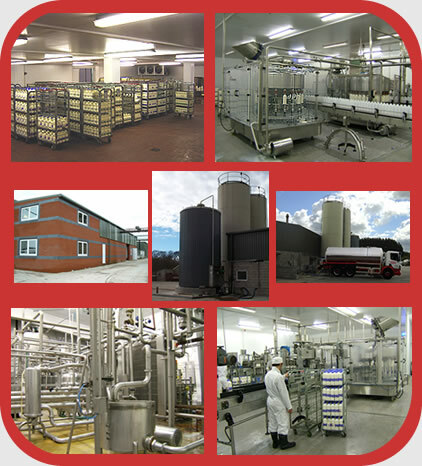 The site is 120,000 square feet in 8 acres and is capable of processing in excess of 450,000 litres of milk per day.